50 PCS - Brand new, clean, clear glass slides with INTERLINK PAPER & ground edges. Packaged in original vacuum sealed box. 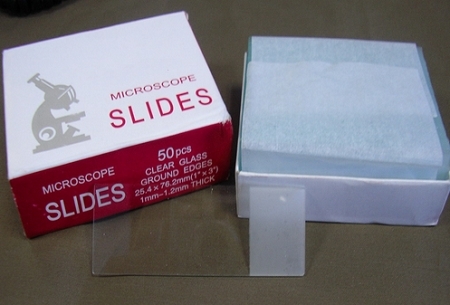 Our Microscope Glass Slides are manufactured form the best grade glass sheets. 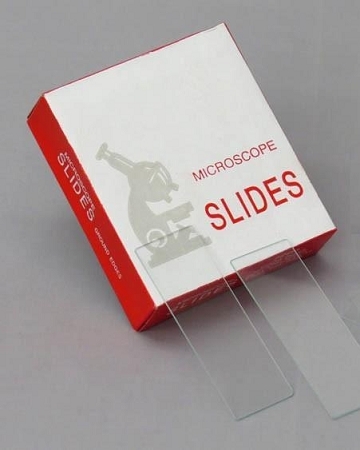 The optically flat Microscope Glass Slides are highly suited for the microscopic work. The Microscope Glass Slides are ground polished and ready to use. Ground-edges slides reduce the danger of cuts to lab personnel. Slides with 90 or 45 edge are manufactured using grinding process which results in a high quality fine ground edge. Contact us for any specific Size Requirement or Bulk Order.